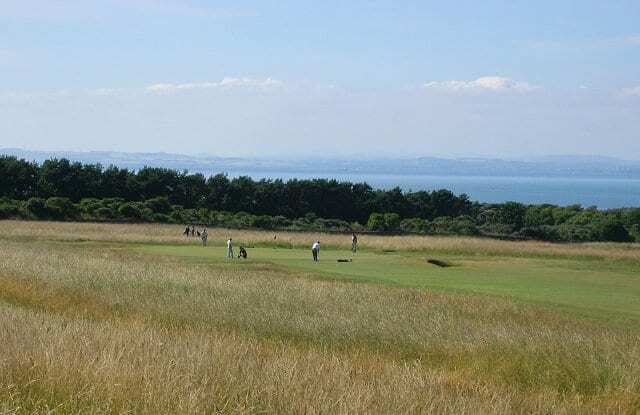 A huge “Welcome to Jurassic Park” sign has been erected outside the gates to Muirfield golf course a day after the Honourable Company of Edinburgh Golfers announced that they were to hold a second vote on whether to admit women as members. The prank was organised by bookmakers Paddy Power, in a protest at what the company called the “dinosaurs” at the club. Last year members held a vote on whether to admit women members, but it fell short by 14 votes of the required two-thirds majority for change. They were removed as a potential host of the Open Championship by organisers The R&A as a result. Paddy Power said: “The decision last May to not admit female members was about as progressive as a Donald Trump policy, and unsurprisingly it’s driven a wedge between stuffy members and the outside world. “While Muirfield members bury their heads in the sand this time round, we thought we’d prod the beast with our Jurassic sign.